Oasis Academy Temple Quarter* will serve the community around the Temple Quarter Enterprise Zone within Bristol. It will be a co-educational Secondary Academy for students aged 11 to 18. As part of the Oasis family, OA Temple Quarter will follow the Oasis model of inclusion and will therefore be inclusive of all, and open to those of all faiths and none. Admissions will be based on proximity from the Academy. The Academy is currently in the pre-opening phase. Oasis Community Learning is working closely with our partners Bristol City Council and the Education and Skills Funding Agency to locate a site for the Academy that will best serve our students and local community. We look forward to publicising further details about the Academy, including the location and opening date, in the very near future. 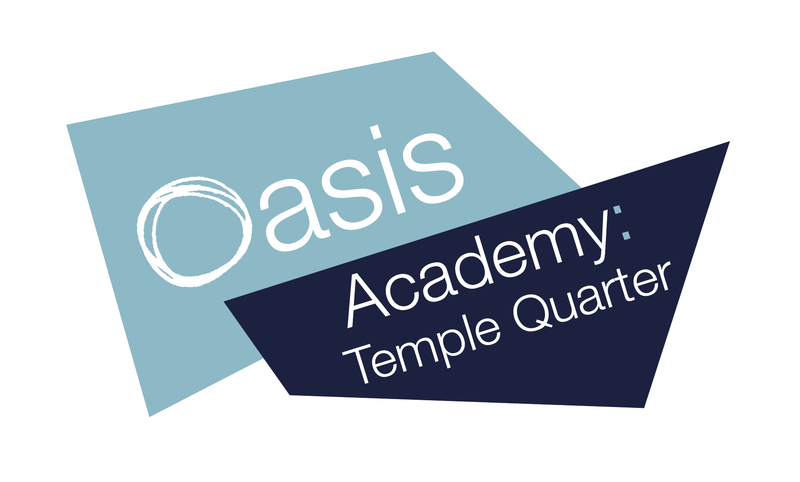 Oasis is determined that the Academy is an outstanding school from the very start, and therefore we have appointed an experienced school leader, Alison Eynon, as our Temple Quarter Development Lead. Working across the preparations for the Academy, she is already establishing strong links within our community, and with our neighbouring schools and businesses. We aim to harness the vast cultural and economic richness of the surrounding area for the benefit of our local children, their families and the community. We will develop an Academy which has outstanding educational outcomes and also creates a new shift in the way business and education partner to provide rich experience and opportunity for our young minds. Scholarship – a relentless focus on securing outstanding academic qualifications and developing a love of learning for all. Transformation – a growth mindset belief that everyone can change for the better, and that everyone has the power to change and influence others and the community. Aspiration - the belief that aiming high and showing courage enables success and happiness in learning, work and life. Inclusion – the certainty that we are one family: no one will feel isolated or alone. Resilience – the knowledge that ‘greatness’ does not come without huge amounts of hard work, perseverance, determination and effort. We must never give up. Social Responsibility – a commitment to care for our community and help others whenever we can. The Development Lead for Oasis Academy Temple Quarter will be Ally Eynon. After graduating with a 1st Class Honours degree in English & Related Literature from the University of York, Ally went on to do her teacher training with Canterbury Christchurch University College as part of the Teach First Programme. With a promising start to her teaching career and high ambitions, she then became Director for English and Assistant Headteacher at her school. She has experience opening a new Free School in London, and currently works as Associate Vice Principal at Oasis Academy Brislington, and as National Lead Practitioner for English. Ally is active in education locally and nationally; she serves as an Ambassador Trustee for Teach First; sits on the Council for Clifton College; and is part of Bristol Learning City's Learning for and in Work Challenge Group. Outside of work Ally enjoys regularly contributing to the charitable sector, scuba diving, Yoga, and is an avid cinema-goer. Ally is highly ambitious for the future of Oasis Academy Temple Quarter, and we are excited to see the Academy develop and flourish under her leadership. Oasis Academy Temple Quarter has been featured in the Bristol Live, as artist renditions of the new home for 1,600 students get released. The development of Bristol’s newest secondary school reached an important milestone today as project leaders confirm that, subject to full planning approval, they have secured a permanent site for the proposed school. The deadline for new free schools in Bristol passed this week, with submissions being made to the Department for Education. Oasis Community Learning, the country’s second largest academy chain, has made an application to build two new secondary academies in the city. The Department for Education has announced their approval of Oasis Community Learning’s proposals to build two new secondary academies in the city. Oasis, which is responsible for eight schools in Bristol, will now move forward to establish Oasis Academy Temple Quarter and Oasis Academy South Bristol. If you have any questions or queries about the development of Oasis Academy Temple Quarter, please do not hesistate to get in touch.